Hackett was the week’s top scorer with a career-best 26 point-effort. 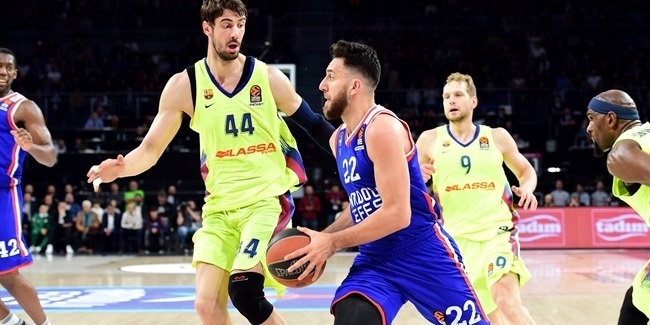 Partizan NIS Belgrade big man Joffrey Lauvergne hauled in 13 rebounds in a loss at Barcelona to top the charts in that category. Omar Cook of Lietuvos Rytas Vilnius moved into a tie for 10th place on the career assists charts with 11 in an overtime victory over Panathinaikos. Cook, who also had the most in the league this week, is tied for 10th place all-time with CSKA Moscow’s Milos Teodosic. 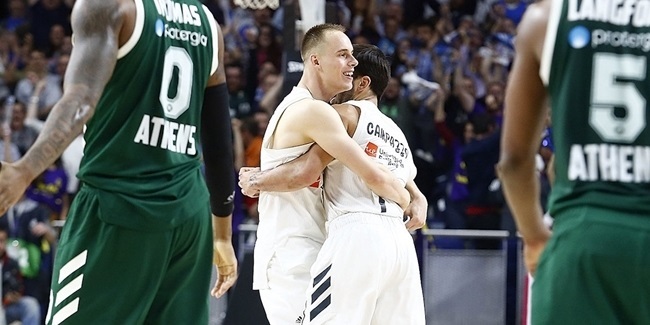 Madrid playmaker Sergio Rodriguez swiped 5 steals on Friday to start the season in first place in that category. Three men –Fran Vazquez of Unicaja Malaga, Joey Dorsey of FC Barcelona, and Romain Duport of Strasbourg – share the top spot in blocks after one game with 3 each. Five players started the season with opening night double-doubles. 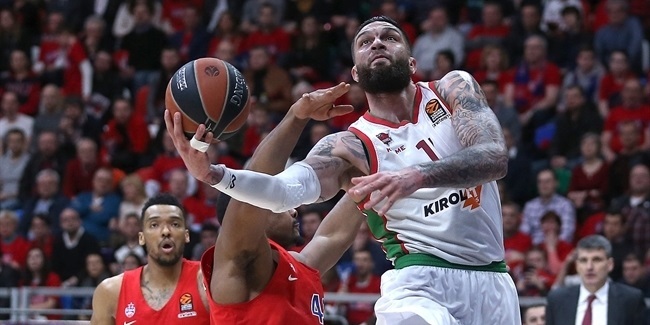 Zoran Erceg of Galatasaray had 15 points and 11 boards, Fran Vazquez of Unicaja posted 12 and 10 and Crvena Zvezda center Boban Marjanovic had 10 and 10, while two players recorded point-assist double-doubles: Cook (10 points, 11 assists) and Barcelona’s Marcelinho Huertas (10 points, 10 assists).